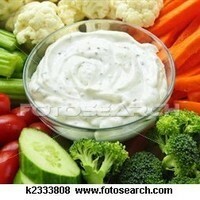 Mix ingredients together, refrigerate for a few hours and serve with freshly cut vegetables. Such a nice dip! i can use this recipe.